I really wanted to share a non-muffin recipe this week but these were just so good I felt I would be remiss if I didn’t pass it on. 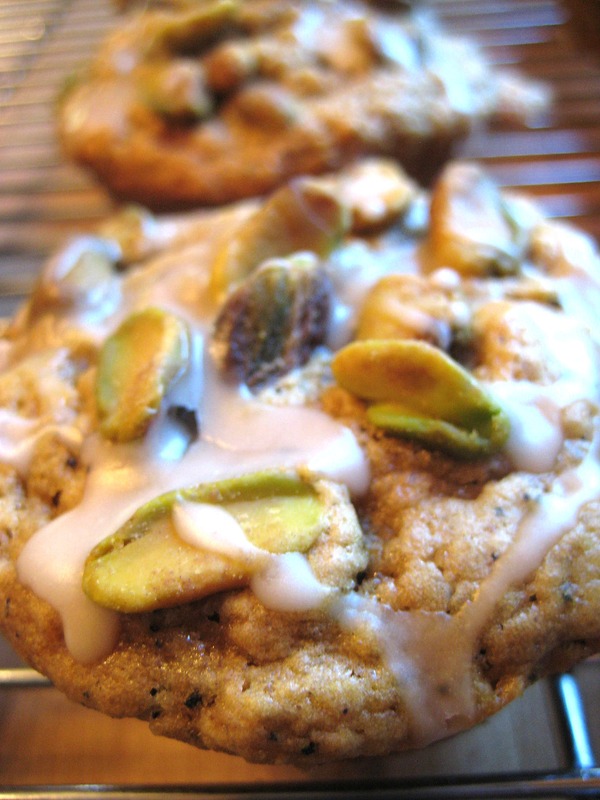 I was so into the pistachios in the last muffins, I really wanted to try something else with pistachios. Well, this recipe caught my eye seeing as I have recently rekindled my love affair with black tea. 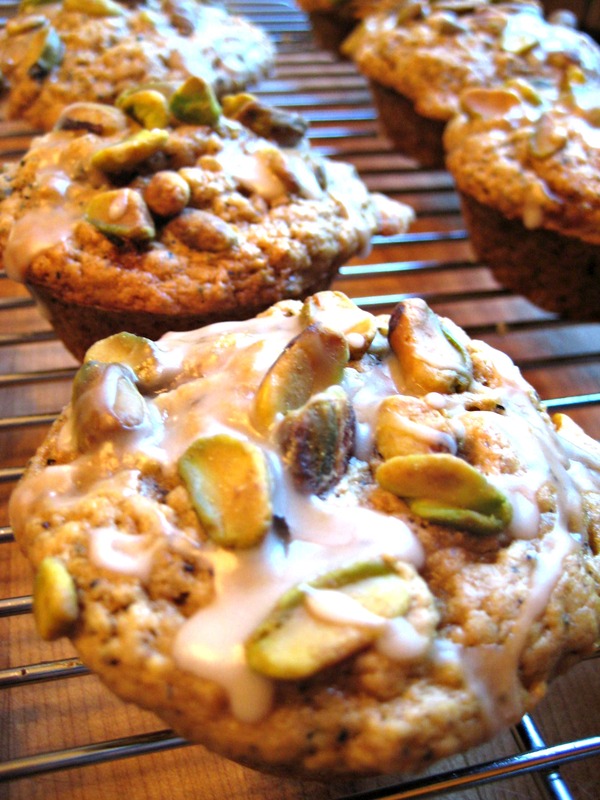 Recap: I love pistachios, I love chai tea, I love these muffins. In another small bowl or large measuring cup combine the milk and vinegar, stir well until mixture begins to thicken. Add remaining wet ingredients and mix until well combined. Add the wet mixture to the dry and mix until just combined. Divide batter evenly among a prepared 12 cup muffin pan. 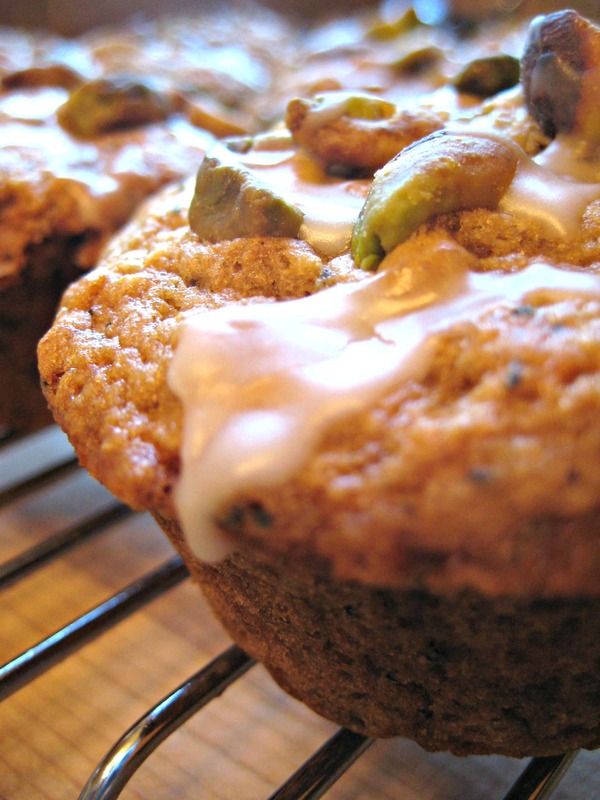 Top muffins with pistachios and bake in a 375 degree oven for 15-18 minutes. Allow the muffins to remain in the pan and cool for a few minutes before transferring to a cooling rack to cool completely. If using the optional drizzle, once muffins have cooled combine ingredients and divide evenly among cooled muffins. The whole dozen only lasted 3 days, these are dangerous muffins!